I spent a bit more time working on Layla's scene and debating between first person present or third person past. She's basically trapped somewhere so her scenes are scattered throughout the story. I like first person present but how does that mix when the rest of the scenes are in third person past? I know I should choose one or the other. Something to ponder for a while. I'm also second guessing working linearly on Eyes, instead choosing to work on scenes that haven't been written instead of taking each chapter chronologically until I've worked my way through the whole book. I'm in the one of those wishy washy modes and worrying I'll get bogged down again after the first few chapters. No matter what it will get done, as long as I'm working on it every single day. Perseverance is the key. I stumbled upon The Millions Five Non Fiction Books for Writers to read in an Emergency and much like the author, I found I can't read books about writing while writing or editing. They make me second guess myself. I can ignore all that while doing a first draft but when it comes to editing, no way. 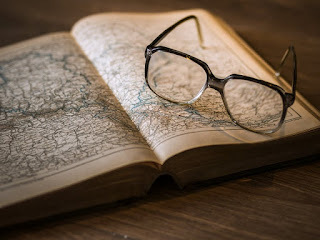 I also find myself steering away from mysteries and suspense stories, instead immersing myself in historical fiction and other literary genres. I've discovered, that even though I'm writing suspense, that paranormals, urban fantasies and mystery books, pull my attention away, totally distracting me from writing. My brain fills up with their stories, blocking out mine. Which is probably why I'm eyeballing Stacy Schiff's Cleopatra for when I finish Helprin's Soldier of the Great War. I also came across the Shortest Novels Written by 20 Authors You Should've Read by Now and I'm happy to say I've already read Don Delillo, Virginia Woolf, James Joyce, Jane Austen, Ernest Hemingway, Haruki Murakami, Charles Dickens, J.R.R. Tolkein. I have Cormac McCarthey's The Road on my shelves. At some point I'll dive into the rest. Nice to know there are shorter books to read. Labels: 2018 Writing Deliberately, Friday Mumbles and Stumbles.